Hands-On Full-Stack Web Development with GraphQL and React . The first section of the course will be about the differences between web design and web development. We'll go over responsive design, talk about code and end with a little bit of SEO.In the second section, we'll take a ready-made design created in Photoshop and turn that into a fully responsive web page. Intro to Unity Development . 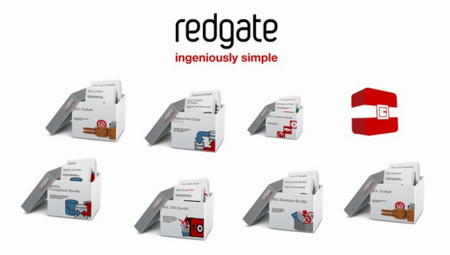 Redgate Development Bundle 2015 provides SQL Server - Database Lifecycle Management Products, Development Products, Database Administration Products, .NET Developer Bundle Products, Deployment Suite for Oracle and MySQL Comparison Products. This class is a two-part course intended to bridge the gap between web design and web development. The first section of the course will be about the differences between web design and web development. We'll go over responsive design, talk about code and end with a little bit of SEO. In the second section, we'll take a ready-made design created in Photoshop and turn that into a fully responsive web page. There's a growing demand for full-stack developers, but becoming one is not an easy task. A full-stack engineer is expected to have frontend and backend skills, as well as extensive knowledge of build tools and deployment workflow.Building real-world projects and understanding the MERN stack is a great way to become a full-stack engineer. So, the journey starts by taking you through the MERN stack to explore Node.js and Express and set up the groundwork for the project. It's vital to store data safely hence we dive into the world of MongoDB and integrate it with our backend. Now, we build a client application that can consume API services. With React you'll be able to solve the two most daunting frontend problems and use JSON Web Tokens (JWTs) to integrate authentication and session management on both the client and the server. Finally, we review the skills that you've acquired throughout the course, look into the MERN boilerplate, and examine the application's architecture to build applications on it.